My oldest son is one of those kids that is good at math, but doesn't really care either way about it. I'm always looking for ways to show him that math isn't just daily busywork, but something that can be both interesting and practical. 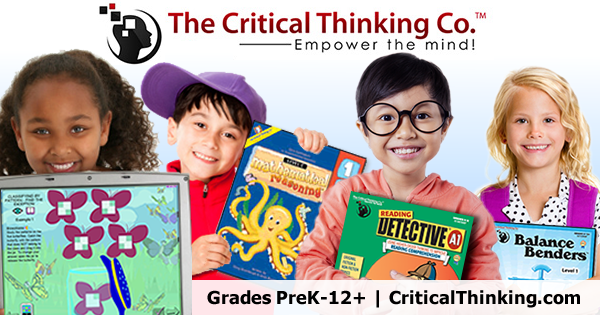 Recently, we had the opportunity to review Dare to Compare Level 1 from The Critical Thinking Co.™. This book is targeted at 4th and 5th graders, and covers traditional math skills at this level, but instead of traditional (and sometimes boring) math problems, the book asks students to perform multiple calculations for two or three items in order to make comparisons. I thought this would be an easy way to get some review in a few days each week as we head into summer, and also show him how math can be used more practically. Our first impression was that the title sounded intriguing, but for the target age range, the cover is a bit juvenile. Everyone was reminded of a preschool cartoon, and my 5th grader was a little apprehensive at first. That being said, the actual workbook is clean, uncluttered, black and white, and the few illustrations included are mostly traditional graphics. This unassuming little book packs a lot of punch. We do two types of math in our house. We have daily math lessons, and we have daily math drill/review to work on quick recollection of facts. When we started reviewing this program, I allowed him to replace his math drills a few times a week with this book. He now prefers this book to drills, and he has done really well with it. There are 150 problems to complete across 50 pages. One problem generally asks for a comparison between two, sometimes three things. This means, with three problems per page, we're easily doing 6-9 calculations per page. The problems differ though, so one problem might ask you to compare individual prices of a group of items, while the next problem asks you to compare the area of three gardens, while another asks you to compare running speed of two runners. The questions might present any type of concept (fractions, decimals, patterns) and the student will need to use a variety of skills or operations to reach an answer. The book does not provide instruction, and there is no "right or wrong" way to arrive at the answer, though hints are provided in the back of the book, and a final solution for every problem is also included. For us, a page or two per day is a sufficient way to get in a unique review. What I like about this book is that it doesn't tell the student how to arrive at the answer. Sure, I've seen a few straightforward questions that tell you to add several sets of numbers to determine which total is most or least. The majority of problems though, give problems that require conversions or multiple steps before the comparison can be made. Many math programs give word problems, but they're usually part of a larger lesson on one topic, so the student knows what is expected. This book, however, gives a mixture of problems, requiring more critical thinking and logic skills, because the student must figure out how to make two or three sets of information comparable, which steps to take and in what order. The book does include Hints (and Solutions) in the back, if the student needs a little help. We really like this book. 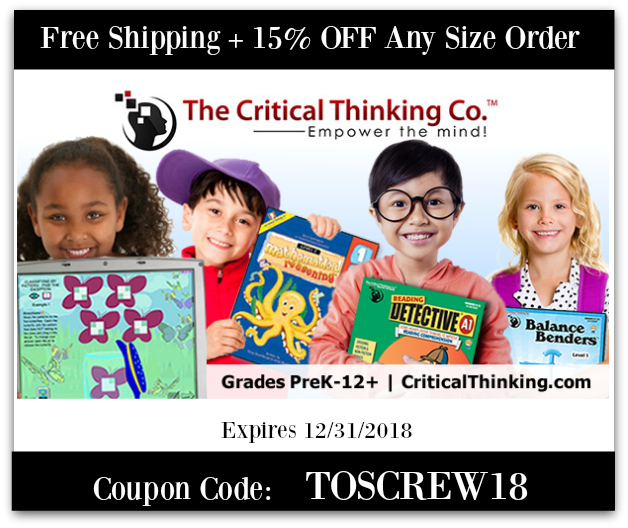 I think he likes the variety, and I like that he is offered a more unique way to review learned math skills and develop critical thinking. The book can be used in many ways too. We're using it as review a few times a week now that our school year has ended, and I think it's an excellent summer option. It could also be a nice alternative from a regular math curriculum once a week, or as a reprieve from traditional curriculum if your student needed a full break to review and solidify concepts before moving on. I will definitely recommend Dare to Compare! The Critical Thinking Co.™ would also like to share some great freebies and a coupon!